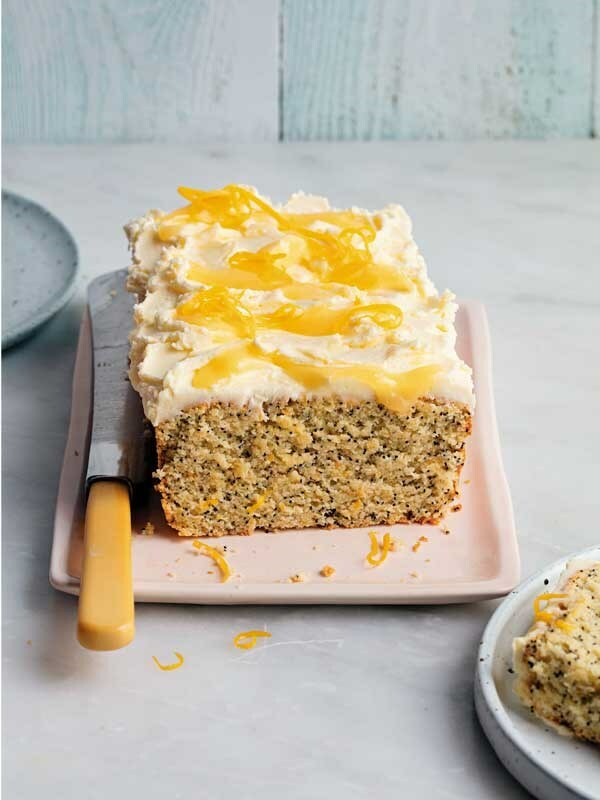 This delicious recipe is from Allyson Gofton’s newly released The Baker’s Companion, published by Penguin NZ and available from good bookstores now. Put the unpeeled lemons into a saucepan, cover with water and simmer for 40 minutes or until well softened. Drain and leave until thoroughly cold. Preheat the oven to 180°C. Set the rack in the centre of the oven. Grease the base and sides of a medium-sized loaf tin (21cm × 9cm); dust with ground almonds. Cut the lemons into quarters and remove the pips. Place the lemon pulp and skins in a small food processor with the oil and 2 tablespoons of the sugar; process until ﬁnely pulverised, thick and creamy. In a scrupulously clean bowl, beat the egg whites and remaining sugar with a whisk until thick and the mixture forms soft peaks. Add the yolks, beating only until well blended. Stir in the pureed lemon mixture, ground almonds, poppy seeds and baking powder. Transfer to the prepared tin. Bake in the preheated oven for 25–30 minutes or until ﬁrm to the touch. The cake will not brown or rise too much. Stand in the tin for 10 minutes before turning out onto a cake rack to cool completely. Dust with a thick layer of icing sugar, or top with butter icing and swirls of lemon honey. Decorate with the lemon rind for an extra splash of colour. This cake becomes more moist a day or two after baking. For a sweeter lemony ﬂavour, warm ¼ cup lemon juice and ¼ cup sugar until the sugar dissolves, then pour or brush over the warm loaf. In place of all the ground almonds, use 1 cup ground almonds and ½ cup gluten-free ﬂour blend.